Racing 92 have won 100 rucks so far this game. Finn Russell leaves the field. Virimi Vakatawa makes the break as the defence re-enacts the parting of the red sea. Fabulous play by Racing 92 has led to Virimi Vakatawa being able to wriggle through a gap. Maxime Machenaud has hooked the conversion to the right of the posts. A bit of individual brilliance by Camille Chat leads to a try for Racing 92. Trouble here as Sofiane Guitoune breaches the defence. This is dangerous for the defence as Cedate Gomes Sa bursts through to advance the Racing 92 attack. Juan Imhoff (Racing 92) is shown a yellow card. A gap opened in the defence and Sofiane Guitoune took full advantage. The defensive line has been broken as Juan Imhoff goes through the gap. Richie Arnold has made 10 good tackles so far this game. 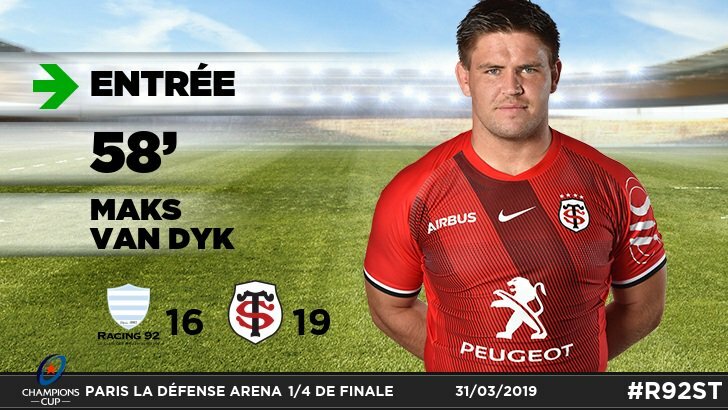 Toulouse decide to make a substitution, with Maks van Dyk getting some game time. 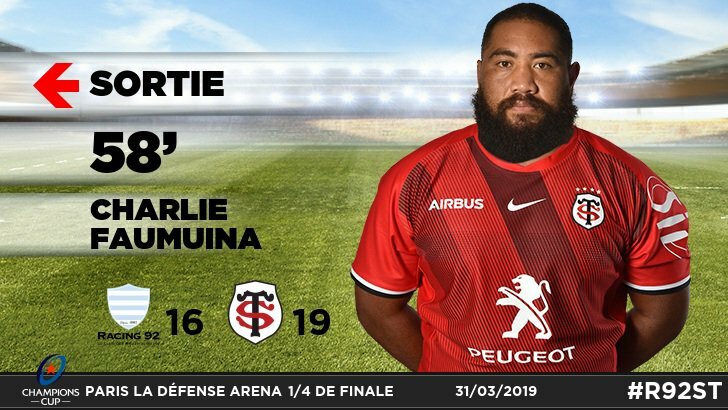 Toulouse decide to make a substitution, with Charlie Faumuina being replaced. Toulouse make a substitution with Selevasio Tolofua coming on. Toulouse make a substitution with Jerome Kaino coming off. What a run here by Virimi Vakatawa as they gets over the gainline!. Sébastien Bézy has made 10 good tackles so far this game. Toulouse sub Thomas Ramos comes onto the field. Maxime Médard departs for Toulouse. 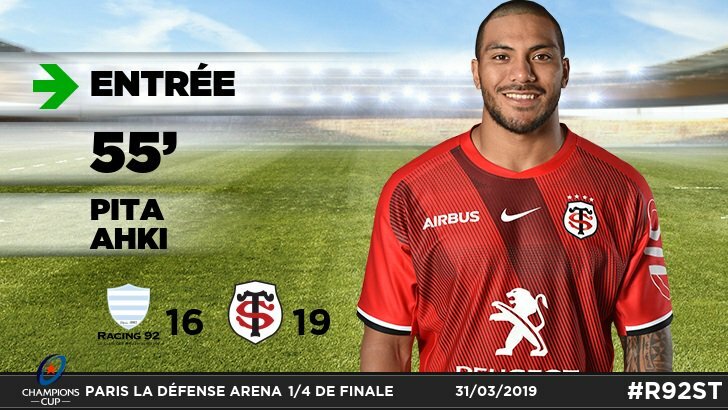 Pita Ahki comes on for Toulouse. 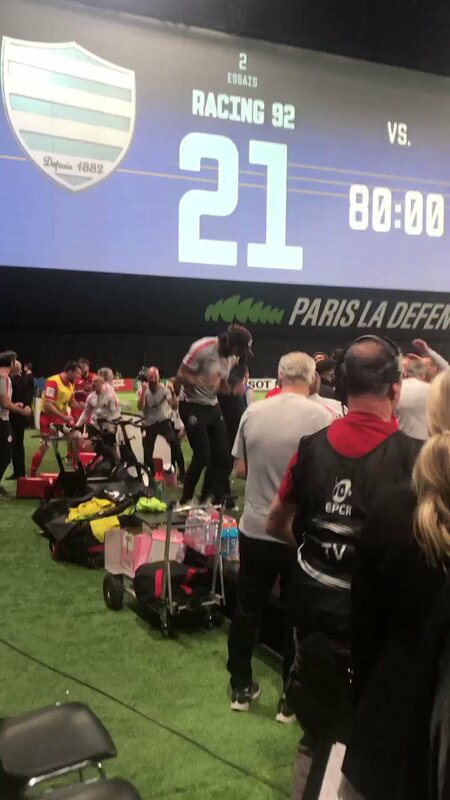 Romain Ntamack leaves the field. Maxime Machenaud makes the break as the defence re-enacts the parting of the red sea. Fabulous play by Racing 92 has led to Cedate Gomes Sa being able to wriggle through a gap. Racing 92 decide to make a substitution, with Boris Palu getting some game time. Racing 92 make a substitution with Cedate Gomes Sa coming on. Racing 92 make a substitution with Ben Tameifuna coming off. Racing 92 sub Eddy Ben Arous comes onto the field. Guram Gogichashvili departs for Racing 92. Camille Chat comes on for Racing 92. Trouble here as Teddy Thomas breaches the defence. Dimitri Szarzewski has made 10 good tackles so far this game. Romain Ntamack makes no mistake with that conversion attempt. Spellbinding play by Sébastien Bézy is finished off with a try. A stunning solo try from Antoine Dupont. This is dangerous for the defence as Antoine Dupont bursts through to advance the Toulouse attack. What a tackle there by Cyril Baille as he saves a certain try!. A gap opened in the defence and Cheslin Kolbe took full advantage. Romain Ntamack has hooked the conversion to the left of the posts. 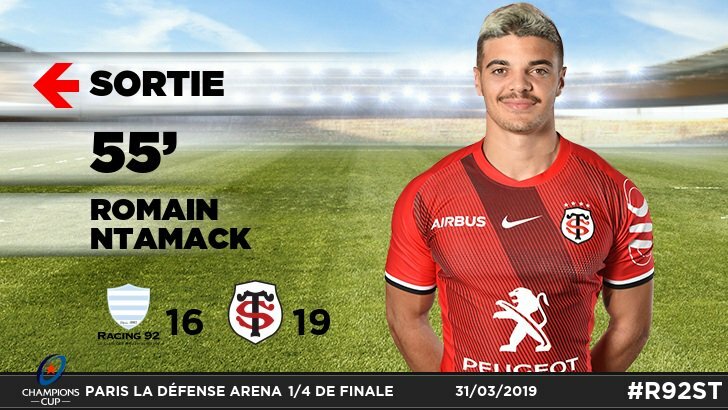 Sofiane Guitoune played a key part in that try. The defensive line has been broken as Sofiane Guitoune goes through the gap. A series of passes by Toulouse results in a try for Maxime Médard. Teddy Thomas (Racing 92) is shown a yellow card. Maxime Machenaud steps up to take the penalty but pulls it wide and to the right. Zack Holmes (Toulouse) is shown the red card. What a run here by Simon Zebo as they gets over the gainline!. Maxime Machenaud converts the try. Antoine Dupont makes the break as the defence re-enacts the parting of the red sea. That's a great try assist by Finn Russell. Teddy Thomas intercepts the pass to race ahead and score the try for Racing 92. Fabulous play by Racing 92 has led to Finn Russell being able to wriggle through a gap. Zack Holmes steps up to take the penalty but pulls it wide and to the left. Zack Holmes has kicked a conversion. Maxime Médard sets up the try. Great hands by Toulouse leads to a try for Antoine Dupont. A gap opened in the defence and Maxime Médard took full advantage. The defensive line has been broken as Lucas Tauzin goes through the gap. The most capped All Blacks halfback ever. 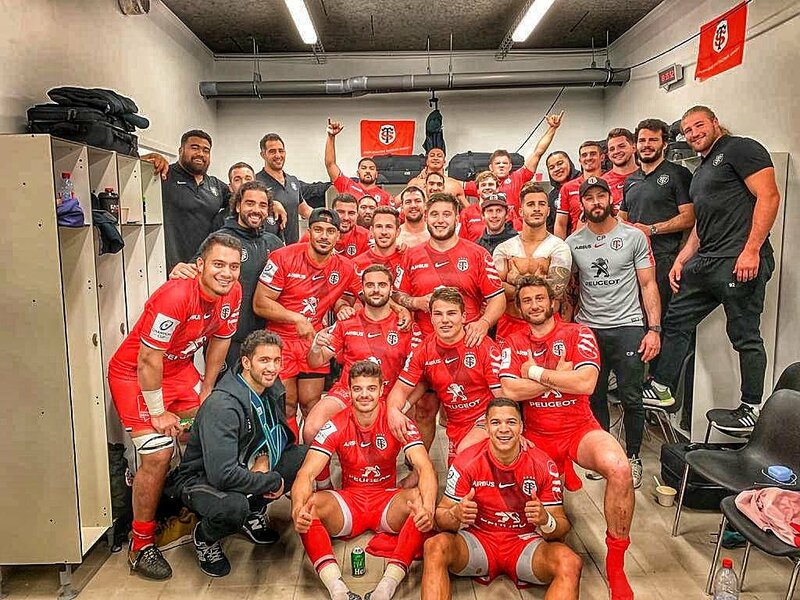 RT @MaximeMermoz1: Quel effort collectif.. Très très très fier de ce groupe. Dans quelques instants, la réaction d'Ugo #Mola après la qualification toulousaine pour les demi-finales de la @ChampionsCup_FR ! 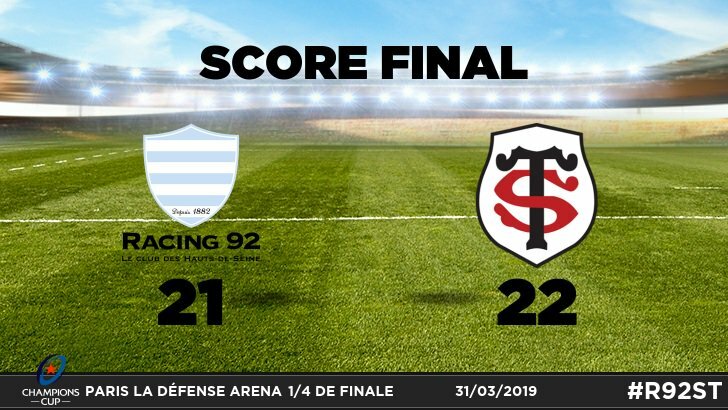 Très belle victoire des Stadistes dans ce 1/4 de finale de @ChampionsCup !! Essai de CAMILLE CHAT sur une interception! 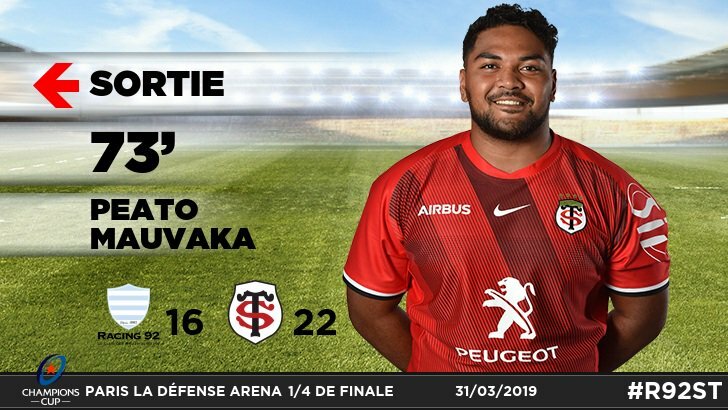 Pénalité pour le Stade Toulousain !